Tankaria Access Floors provides understructures to all raised floor systems to suit your requirements. We strive to deliver quality work to support and strengthen cavities under the floor to increase utility. Whether you already know what you’re looking for or don’t, contact us today to get the ball rolling! Primarily used for office premises with modular carpet style, Corner Lock System provides self-engagement and positioning of the flooring panels. 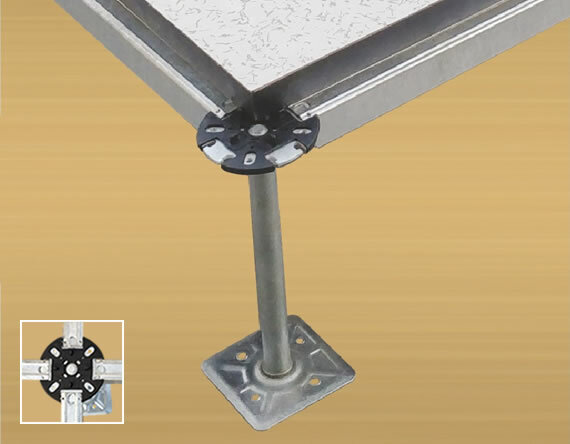 These pedestals eliminate the need for any kind of special bracing. 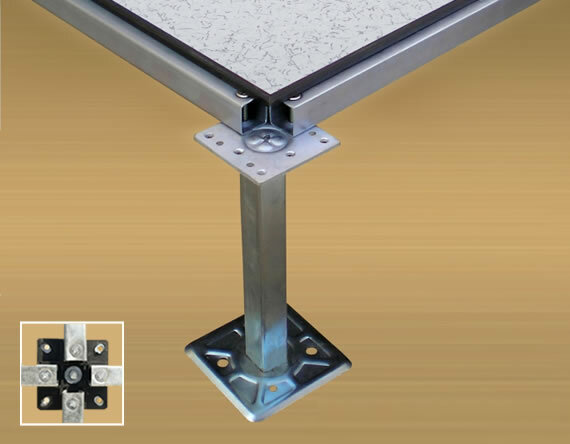 Corner lock design provides self engagement and positioning of floor panels. 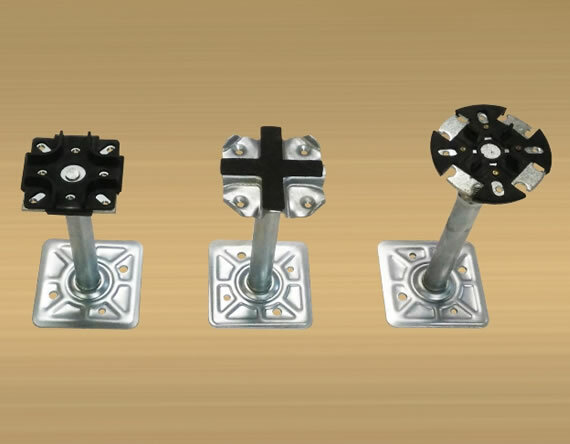 Low finished floor height corner lock is considered ideal for renovation applications, while providing enough space for cable management. Besides levelling uneven flooring, it allows easy cable management under the flooring. 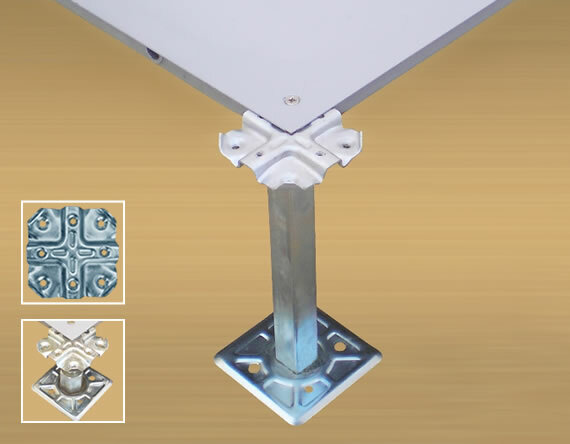 Flat pedestal screw down system is known for its strength of pedestals, and provided anti-vibration and locking features. 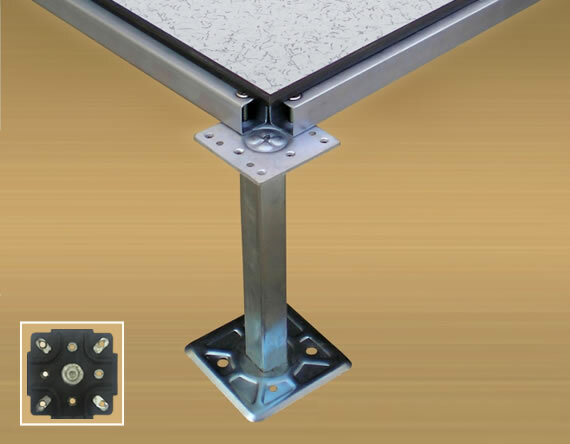 A flat pedestal based understructure creates a silent, vibration-free raised flooring solution. This system is mainly designed for data centres, computer rooms, heavy rolling load areas and industrial applications. One of the main benefits of this system is that they are easily removable and replaceable as the panel is held by gravity. Easy removal of panels or creating space for cable trays is possible with the bolted stringer system. Designed for computer rooms, data centers, industrial and heavy rolling load areas. Stringers snap on to pedestals to create 600mm x 600mm grid to enhance stability and load performance. Snap-on stringers can be snapped on or removed by hand without the need of tools. Snap-on woodcore is a traditional option for heavy-duty stringer system. Raised height pedestals available in height from 2" to 60". 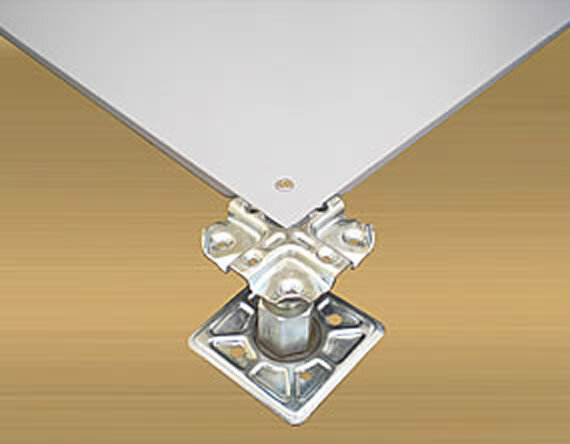 Pedestals can accomodate corner lock or flat screw-down panels, and snap-on stringers. Contact Us for a Customized Solution Today! Raised Access Floors increase the utility of your work environment. To get a customized solution, contact our experts today!